Loving sunny yellows right now - they're just so right for summer! 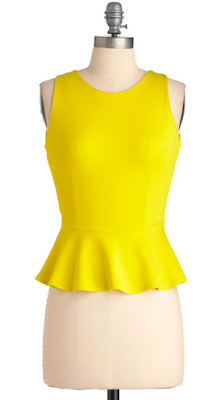 This peplum top is perfectly ladylike, pair with a chic pencil skirt and cropped blazer for a Mad Men look for the office! Buy at ModCloth for just $43.